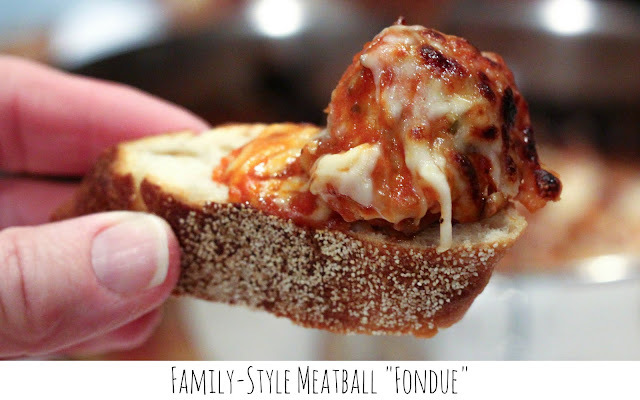 Coffee Queen Keeps Busy: Family-Style Meatball "Fondue"
topped with mozzarella, and broiled. Slices of baguette are used to scoop up the tasty meatballs. 12 Weight Watchers Smart points for 6 slices of bread and 6 meatballs.